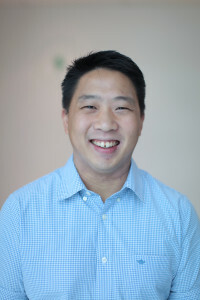 Prior to FundedHere, Daniel was an Executive Director of Singapore-listed company Viking Offshore & Marine Ltd. He was the Managing Director of Viking’s wholly-owned subsidiary Viking Asset Management that acquired and chartered offshore and onshore rigs and vessels. His work included acquiring a 1,500 hp train-type land rig that is in a long-term charter with a Pakistani conglomerate, operating in Morocco, Africa. Daniel was also the Managing Director of another wholly-owned subsidiary Promoter Hydraulics that designed, built, tested and delivered bespoke winches and power packs. Under his leadership, Promoter delivered more than $20 million worth of products to international shipyards and ship and rig owners. Before his stint at Viking, Daniel spent several years at Blue Ocean Capital Partners, a bespoke consultancy firm specialising in mergers and acquisitions. He started as an Associate Director, helping the firm on all legal matters and later became an Executive Director, helping the firm look for consultancy deals. Part of the work at Blue Ocean involved helping a Singapore private equity fund Tembusu Partners raise money from ultra-high net worth individuals and smaller institutional funds and family offices. Prior to Blue Ocean, Daniel was the Special Assistant to the CEO in Singapore-listed company Advance SCT Limited. His work included corporate finance, helping the Company raise S$50.0 million in a secondary placement exercise. He was also involved in institutional fund-raising, having travelled to the US and Europe to meet with institutional investors. He also helped the Company start and operate a new joint venture partnership in Monterrey, Mexico. Daniel has board experience in Singapore, having sat on the board of Singapore-listed company Nico Steel Holdings Ltd from 2009 to 2016 and Ann Aik Ltd from 2012 to 2016, both as a non-executive director. Daniel also sat on the board of Viking Offshore & Marine from 2011 to 2018 as an Executive Director. Daniel was also a member of the Finance Committee with the Singapore Institute of Directors from 2010 to 2012. He graduated with an honours degree in law in 2007 from Bristol University, United Kingdom.